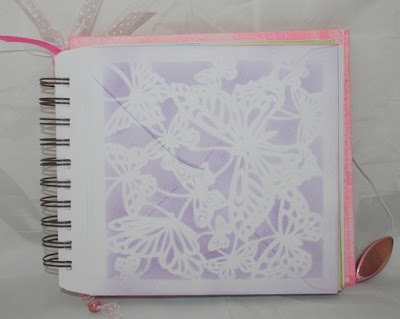 Jayne's Gorgeous Stencil Store for You to Make!! Jayne our amazing new talented Designer who recently joined the Imagination Team has been really busy making this incredible Stencil Store, which is such a clever idea! She has used the new range of Stencil Stamps, which she designed exclusively for us combined with our great new range of Stencil Paint. 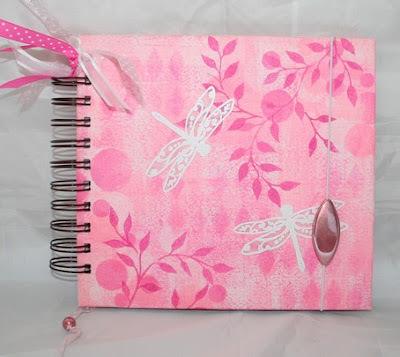 She has combined Leaf Swirl, Diamond Background and Bubble Background and stenciled through a combination of White, Mallow and Rose Stencil Paint using our fabulous new stencil brushes, of course! 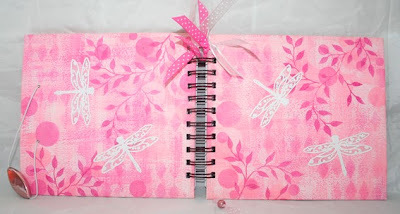 She has used the gorgeous Dragonfly stamp from the Bubble Stamping Stencil set, this is such a pretty dragonfly, love the lacy wings. Done in the white looks really effective. Then she covered some chipboard with the stencilled papers and made this beautiful Stencil Store using the Bind-It All tool. I have to confess I have had mine some time!! and haven't used it yet (you know how it is !lol!) but I will now! Have a look below to see the back and the front and inside, which is the really clever bit! I hope you can see (light not too good for piccis today) but inside to store your stencils safely she has included 6 x 6 envelopes and it works - we have already filled ours up! Just love it - don't you? Isn't it great to see something different? 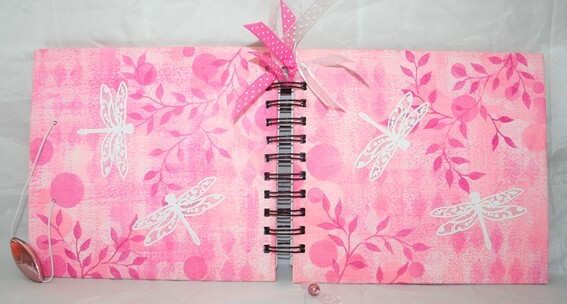 As well as being beautiful it's practical and would make such a great gift. We love things that make us want to rush off and make one! If you haven't already checked out the Imagination range of Stencils, Stencil Stamping Sets, Stencil Paint and brushes go to the web site www:imaginationcrafts.co.uk and check them out.